Here at North South Travel we are passionate about matching our clients with the perfect travel experience. A small group journey is a wonderful way to explore an area in a more intimate, authentic way. This Tanzania small group journey takes you through some of the most awe-inspiring areas for some of the most beautiful wildlife viewing. As one of our preferred partners in luxury group journeys, we can confidently recommend this fantastic itinerary with great confidence in the experience and operator. Arrive in Arusha and transfer to your lodge, situated on a working coffee plantation. Your private chalet near Mount Meru features a log fireplace and a balcony. Meet young Africans who are overcoming unique learning challenges when you visit Ilboru Primary School, one of the few schools in the region that offers programs for deaf and special needs children. Then, fly to Tarangire National Park, where open grasslands, acacia trees and the Tarangire River paint the wild landscape. 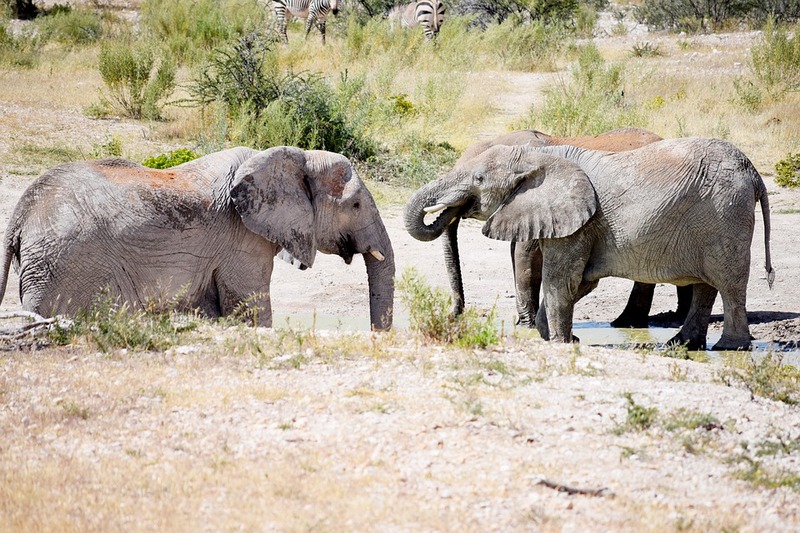 Spend the afternoon on a game drive in search of eland, oryx, wildebeests, zebras and a large elephant population. Keep your eyes trained for hartebeests, gazelles and exotic birds like the bateleur and martial eagle. Tonight, gather with fellow guests for a welcome dinner. Today, enjoy morning and afternoon game drives. Your local expert driver-guide draws on years of experience in the bush to locate the best wildlife viewing opportunities right as they happen. This afternoon, learn how to prepare local dishes like ugali and kachumbari as part of a Chef’s Table experience. As you cross the Great Rift Valley, stop for a market visit in Mto wa Mbu, where stalls brim with vibrant local produce. Then, see the village from a different perspective as you Ride Like a Local on a tuk-tuk, viewing the local community and rice fields as you go. Next, take a scenic drive to tranquil Gibb’s Farm, where you stop for a lunch made with organic, just-picked ingredients. 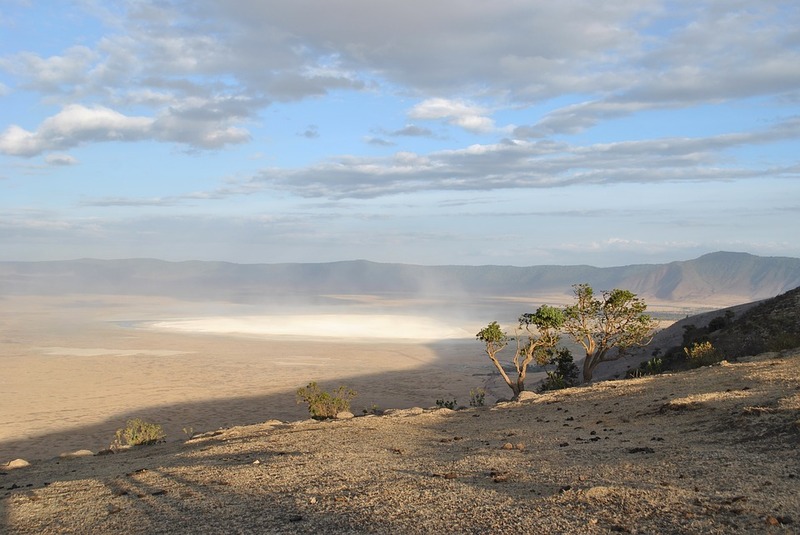 Later, arrive at the natural amphitheater of Ngorongoro Crater, a 2,000-foot-deep caldera. A fascinating microcosm of East African wildlife — including buffalo, flamingos, lions and leopards — resides inside. Climb the outer wall, passing through dense vegetation until a breathtaking view across the crater floor appears. Arrive at your camp nestled in a wooded area with easy access to the crater floor and featuring elegant, tented accommodations adorned with handwoven rugs, comfortable beds with crisp linens, and en suite bathrooms with flush toilets. Refresh yourself with the bucket shower, enjoying plenty of hot water provided by your private tent attendant, and relax on your veranda to view the panoramic natural wonderland. Descend into the Ngorongoro Crater, a vast expanse where animal activity is commonplace. Avoid the crowded picnic sites during a private hot gourmet lunch, prepared by your camp staff, as a symphony of wildlife sounds envelop you. This afternoon, visit with an elder at a Maasai village, where you learn about the tribe’s traditional, nomadic lifestyle and coexistence with wildlife. You also partake in an artisan visit with a demonstration in traditional beadwork and crafts. Later, witness a private dance performance at your tented camp. Sense the incomparable spirit of this pastoral, nomadic people who have kept their tribal traditions alive through countless generations of life in East Africa. Fly to the fabled Serengeti National Park and settle into your camp. Then, set out on the boundless Serengeti, one of the oldest and least-changed ecosystems on earth, where the circle of life plays out every day, as it has for eons. It is home to one of the world’s largest concentrations of wildlife, with lions, hyenas and leopards all endemic. The region also hosts the spectacular Great Migration, when a flurry of wildebeests and zebras arrive in search of grass and water. It is an epic spectacle you may witness, depending on your choice of departure. This evening, as the equatorial sun hangs low over the plains, take a moment to sip a cocktail and reflect on the majesty of Africa during a relaxing Scenic Sundowner experience. Venture out on morning and afternoon game drives in the protected Serengeti refuge, where flowing rivers support a plethora of species. In addition to the “Big Five” (lions, elephants, buffalo, leopards and rhinos), keep your camera handy for a cheetah bolting after a fleet Thomson’s gazelle. 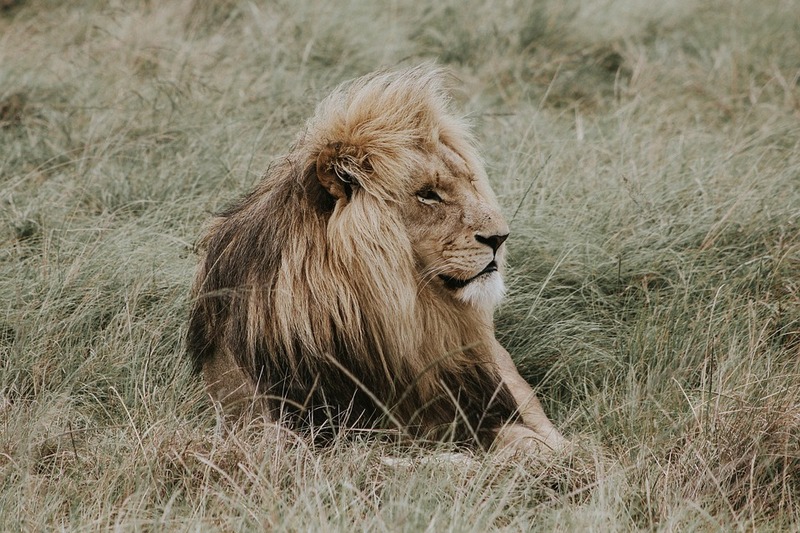 Enjoy ideal game viewing during your time in the bush, as your highly experienced trained driver-guide strives continually to keep you in the heart of the action. Tonight, gather for a memorable farewell dinner. Fly to Arusha. Relax in a comfortable dayroom in anticipation of your flight home. Are you interested in more information, pricing, or dates on this small group journey (or others?) contact one of our Adventure Travel Advisors today by clicking the 'contact us' button to send us a message, or give us a call at 604-736-7447!